Wearable tech is set to be even bigger in 2017. A great motivator to keep moving, reaching your daily steps becomes surprisingly addictive. Fitbit are one of the best exercise techs around. With a range of luxe leather straps, they look great too. Exercise with friends, not only can it be more fun working out, but you are also far less likely to cancel an appointment if you feel you are letting others down. If the gym doesn’t work for you, find something that does. A fitness class, such as Bounce, can be great fun and can improve weight loss 3 times quicker than floor based workouts, due to opposing gravity and added g-force. If that sounds far too strenuous, Virgin Active has a new Calm By Candlelight yoga class. Achieve a perfect pout – a gleaming white smile is now a must have for the ‘a-list’. It’s no surprise, research has shown that a healthy set of teeth make you appear more alluring and approachable, and a study by Oral B has shown that whiter teeth can make you look up to 5 years younger. The Stonehealth Dental and Medical Clinic offers both professional teeth whitening in the surgery, or at home treatments. In less than an hour, my teeth were whiter than they had been in years and, for me, the treatment was completely pain free! Want to break a habit or pattern in your life? Get yourself a copy of Dr Jose Dispensa’s Breaking the Habit of Being Yourself. It will not only give you invaluable advice to make changes, but it will teach you the step-by-step tools to apply what you learn. Treat yourself to a rejuvenating retreat – The Lakes by Yoo has once again teamed up with Bettina’s kitchen, WelleCo.com’s Super Elixir, the Bosworth Clinic, Spiezia Organics and Studio 13 to provide guests with a holistic wellbeing experience that brings together the pillars of wellness, and equips guests with the learning to weave their newly learnt practices into their daily lives. Wellness By The Lakes is hosted in the Barn House – designed by Kate Moss no less! 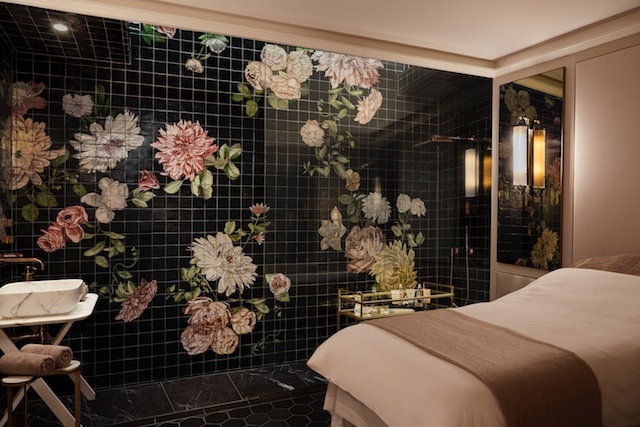 The bespoke retreat includes a private consultations, physiotherapy sessions, personal training and bespoke treatments crafted for each guest. The retreat will be hosted from the 17th – 20th March 2017. Invest in your appearance with regular facials and haircuts. I love the approach used in the prescriptive facial at Gazelli House. 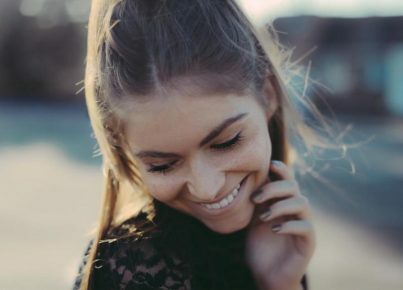 Following an in depth consultation, the facial expert will devise a prescriptive treatment to achieve the results you desire depending on their evaluation of your skincare needs. A good hair day, can completely lift your confidence. A great hair style can refresh your look and, with the right cut and colour, can make you look years younger. Take time to do some research and save magazine cuttings so you have a visual reference for the look you have in mind. Studies show that massage is an effective treatment for reducing stress, pain and muscle tension. It can be an enjoyable experience, so take time to treat yourself. At urbanmassage.com, in specific locations, you can select a treatment, chose an expert therapist, and book a massage therapist to come to your home, all within 60 minutes. Aromatherapy candles are made with essential oils which can lift the spirit, create a relaxing atmosphere and promote a sense of wellbeing. 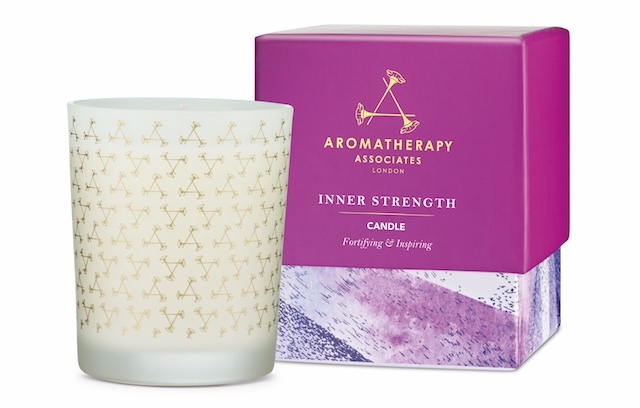 I love the Aromatherapy Associates Inner Strength candle. For a truly relaxing experience, light the candle in the bathroom, run a hot bath and add a drop of an aromatherapy bath oil. Total you time. In our constantly ‘on world’, it’s rare that we take time for ourselves, increasingly our smartphones are never far from our side… A recent study showed that, on average, we are touching them an incredible 2617 times a day and a study by Deloitte found that almost half of 18-24 year olds check their phone in the middle of the night. Take some time to switch off and indulge in a digital detox. That e-mail can surely wait! Fake it, till you make it. If you look healthy, you often feel better. So cheat your way to that sun drenched glow, with a light application of fake tan, or for an instant glow try Givenchy Mister Radiant Bronzer (£29.00). This sheer bronzer gel glides onto the skin, and gives your face that ultra-natural healthy glow. For the body, try the Elemis Total Glow Bronzing Lotion (£35.00). Try a health plan tailored to you – Wellness experts iamYiam have launched an innovative individual health plan that requires a simple saliva genetic test (this can analyse over 100 of your genes) and a detailed lifestyle questionnaire. A proprietary algorithm then interrogates over 160,000 academic research papers to generate recommendations to meet an individual’s specific health goals. These can range from reducing stress, improving sleep, addressing back-pain to quitting smoking. The resulting health plan clearly outlines both the activities plan (yoga, meditation, acupuncture, massage, Pilates, etc.) and the nutrition plan.